The problem with performance measurement is that we all know it’s important, but it never seems to be urgent enough to make it a pressing priority. These 5 tactics will help you be more proactive in fitting in your KPI tasks amongst the other priorities you have to give your time and energy to. If you do them, that is. Tactic #1: Make it clear how important performance measurement is. 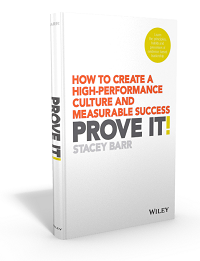 Why does performance measurement matter to you, or your business or organisation? What is YOUR purpose for wanting to measure what matters most? What ARE those things that matter most? Without a compelling reason and valuable benefit, you never will make the time to measure anything. 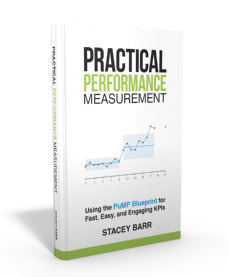 Tactic #2: Be clear about what is LESS important than performance measurement. If you don’t know which of the tasks or projects or jobs you have on your plate that are less important that measuring performance and pursuing performance excellence, you’ll never know what to say no to. And you will have to say no to something. Tactic #3: List the tasks associated with doing performance measurement well. Doing performance measurement well means doing exactly what needs to be done, nothing more and nothing less. It means doing those things skillfully, too. So you need to have a performance measurement methodology that you know is designed efficiently, and that you are skilled enough to apply it. Tactic #4: Set goals each month, week and day. What are the important performance measurement milestones you need to reach this month? Designing KPIs for a specific goal? Streamlining your monthly performance report? Break out this milestone into the tasks that will achieve it. Then schedule these tasks into your calendar. Be deliberate and disciplined. Tactic #5: Tackle your daily schedule with the big rocks first. If performance measurement is one of the big rocks, then make sure it’s one of the first things you do each day. If it’s not, then make sure you do what matters more first, and then get to the performance measurement tasks sooner rather than later. Either do it, or don’t. We just can’t keep getting by with the excuse that there’s too much to do and not enough time, that everything is urgent and it all has to get done, somehow. That’s just not true. It’s your life, your career, your responsibility to only do what really matters most. Delegate, automate or delete the rest. TAKE ACTION: Set some time aside (ha!) and implement each one of the 5 tactics above. But don’t just apply them to performance measurement – apply them to the achievement of all your priorities within the constraints of your schedule. I’d like to share how we fitted KPI’s in our daily schedules. We started the concept of 15min daily morning performance briefs in which we discuss the operational KPI’s and the objectives we set ourselfs. Each time there is a deviation between the reality and the target we set ourselfs we go analyse the rootcause of it and solve that. Now, what happened? After a few weeks we noticed that our workload was going down because we were losing less time in repetitive problems and escalations, leaving more time for performance management. So we started introducing the concept of weekly performance dialogues with our N+1’s all the way through the hierarchy; creating a continuous improvement movement all based on discussing KPI’s. So my key message is: investing some extra time (30 to 40 min) in KPI’s now will save you time later so you don’t have to sacrifice something else in your schedules. Filip, this is great. It’s like that cliche, “an ounce of planning is worth a pound of cure”. Maybe we could say “15 minutes of KPIs is worth hours of rework”?